Carbon monoxide poisoning led to a plane crash that sent pilot Dan Bass to the hospital at Mayo Clinic. His doctors were able to treat his injuries and help him recover from the poisoning, thanks in part to hyperbaric oxygen therapy. The last thing Dan Bass remembers about his flight from Duluth, Minnesota, on Feb. 2, 2017, is turning on the autopilot for his piston-powered, single-engine plane and being cleared for his destination — Winona, Minnesota. Shortly into the flight, he knew something was wrong. He experienced a strong headache and a butterfly feeling in his stomach. He began to feel anxious. Dan strongly considered calling air traffic control to ask if he could land. Just 10 minutes after take-off, Dan lost consciousness. 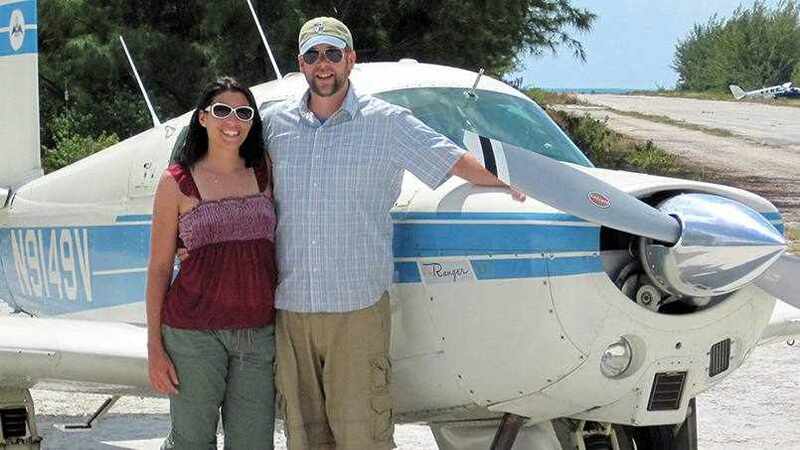 His plane continued on autopilot, traveling south from Duluth at 13,000 feet for an hour and a half until it ran out of gas and crashed in a field 45 miles from Rochester, Minnesota, shortly before 8 p.m.
Miraculously, he survived. Injuries from the crash landed Dan in the hospital at Mayo Clinic, where his care team discovered that his symptoms and loss of consciousness during the flight were a result of carbon monoxide poisoning. Fortunately for Dan, his treatment at Mayo Clinic's Rochester campus — including hyperbaric oxygen therapy — helped him recover and become well enough to return to the skies. Read the rest of Dan's story.